Vince is fully responsive, creative, clean, superb and multipurpose one page and multipage templates with latest web design styles. It has perfect ready to use demos for any type of business like design corporate, agency, modern agency, startup, freelancer, mobile app, landing page, business, coming soon, blog, portfolio, login, etc.It is friendly for designer and developer customization, Speed optimized, well documented, commented, structured, well tested in all browsers & devices and contain easy to understand code. 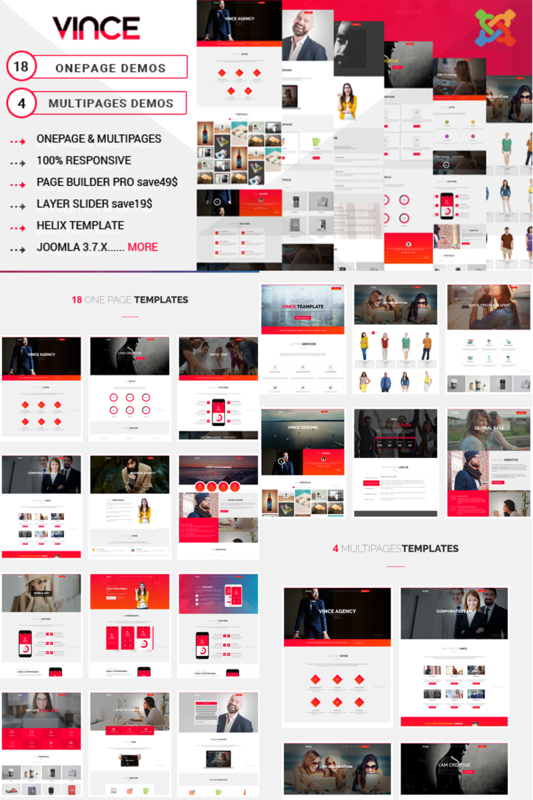 Vince Business Templates included 18 one page 4 Multipage ready to use superb creative template with Blog, portfolio,login,ect .